Market Rasen Town maintained their good league form with a convincing win from the short trip to Louth on Saturday. Town returned with the three points after a 3-1 win at Louth Old Boys Vets. 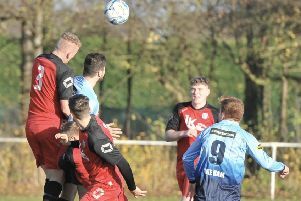 The victory – their fourth in five matches – saw Rasen leapfrog above Louth in third place in Division Three of the East Lincs Combination, and within four points of second-placed Barnoldby. Town return to Rase Park on Saturday when they entertain second-bottom Alford Town Reserves who have picked up just one point in their 11 league matches this season. Kick-off is 2pm.